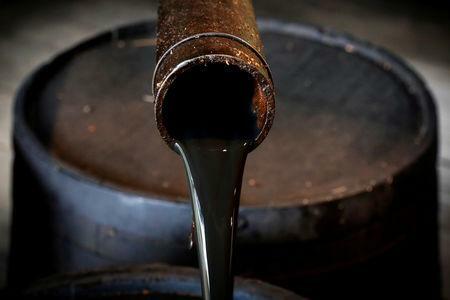 Brent crude futures <LCOc1> rose $1.69, or 2.2 percent, to settle at $79.06 a barrel. U.S. West Texas Intermediate (WTI) crude <CLc1> settled $1.71, or 2.5 percent, higher at $69.25 a barrel. Prices extended gains in post-settlement trade after industry data from the American Petroleum Institute showed U.S. crude inventories slumped 8.6 million barrels last week, versus analysts' forecasts of a 805,000-barrel decrease. 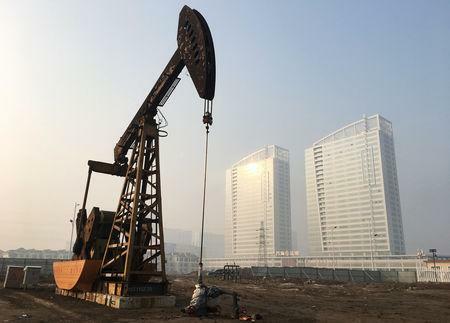 "Market participants are now evaluating this development in conjunction with potential for further declines in oil output from Iran and Venezuela, which portrays a significantly bullish picture on prices," said Abhishek Kumar, senior energy analyst at Interfax Energy in London. On Monday several armed men attacked the headquarters of Libya's National Oil Corporation (NOC) in the capital Tripoli on Monday.